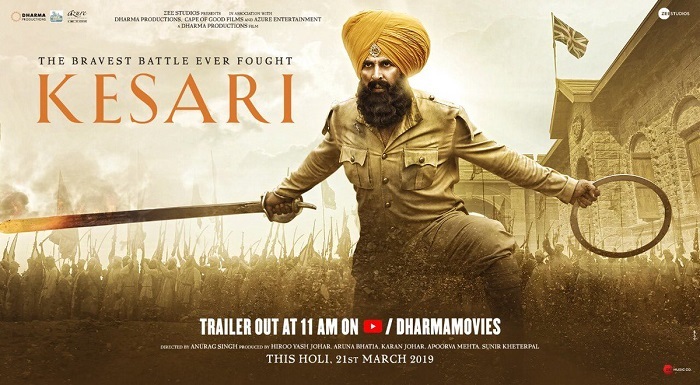 Kesari 2nd Monday (12th Day) Box Office Collection, Good Hold! Kesari has shown good hold on 2nd Monday (12th day) at box office. Film has reported a drop of just 25-30% from 2nd Friday. Film should now trend well from here on till 3rd Thursday. Kesari added an approx 3.25 crore nett on day 12. Film total collection thus stands at approx 128.25 crore nett. Film should sustain strong on 2nd Tuesday (13th Day) with minimal drop expected. Film is all set to touch 135 crore nett by the end of second week. Good hold on 2nd Monday has almost made certain that film will go past 145 crore nett in India. It is 3rd Friday that will decide if Kesari has strength to touch or go beyond 150 crore mark in India. So far so good. Film will emerge as a HIT at box office. For Super hit status film need to stay strong at least for another two weeks or so.